WASHINGTON — U.S.-backed Kurdish fighters have cleared more than 50 percent of the Islamic State group’s self-proclaimed capital of Raqqa, according to military officials. “Just over 50 percent is now under SDF [Syrian Democratic Forces] control,” said Army Col. Ryan Dillon, a spokesman for the American-led Operation Inherent Resolve mission in Iraq and Syria. Under U.S. air support, Kurdish fighters have continued to make progress in the embattled city. However, fighting has intensified as the Kurdish militants continue push through. “No question they have hit stiffer resistance,” Dillon, who is based in Baghdad, told reporters at the Pentagon during a televised briefing Thursday. 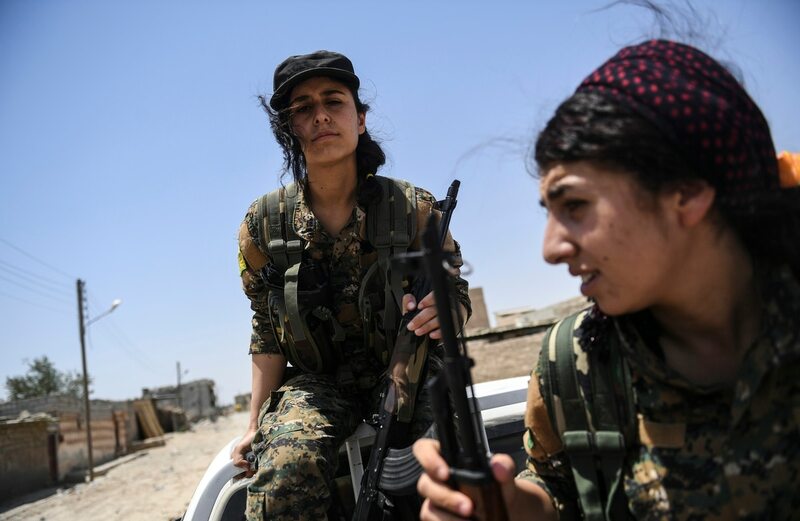 Kurdish fighters have faced buildings rigged with explosives, vehicle-borne improvised explosive devices, even rigged corpses, Dillon explained. ISIS has also used VBIEDs to attack civilians fleeing the city. In the past couple of days ISIS militants have launched armored VBIEDs killing six non-combatants, Dillon said. Despite ISIS’s attempts to halt the advancing Kurdish fighters, progress continues to be made Dillon said. ISIS fighters have attempted “to intermingle with [internally displaced persons]” as they try to flee the city, Dillon said. Sometimes ISIS fighters surrender and are caught trying exit Raqqa with the fleeing civilians. Some of those fighters have been caught by the Raqqa Internal Security Forces, or RISF — a security force organized to secure Raqqa after its liberation. The RISF now numbers nearly 1,000 members, according to Dillon. ISIS fighters captured by the security force are sent to a judicial court in Ayn Issa, Syria. The U.S.-backed Kurdish fighters are now in their third month of fighting to liberate the city.